CIGRE presents its expertise in unique reference books on electrical power networks. These books are self-consistent, have an handbook character covering the entire knowledge of the subject within power engineering. The books are created by CIGRE experts within their Study Committees and are recognized by the engineering community as the top reference books in their fields. These books are available in different versions, at different prices whether you are a CIGRE Member or not. 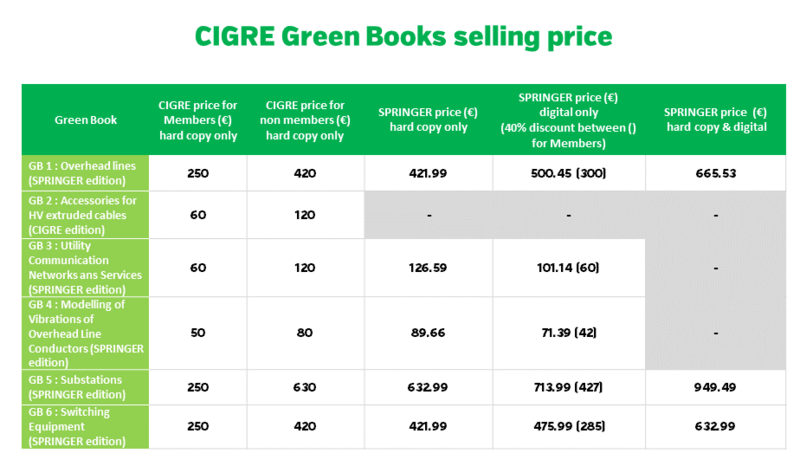 If you are an individual CIGRE Member, and you want to buy a digital copy on Springer.com : Contact the CIGRE Publications team at publications@cigre.org to benefit from a discount of 40%. NOTE : If you are a collective Member and you want to benefit from a discount, please contact us.